We recommend measuring your current jersey as shown on the diagram below. However these values in charts can be off by a few milimeters here and there. Don’t panic – it’s normal – it’s all handmade and the jerseys are loose fit. If you don’t have a jersey to measure, measure your chest size. Roughly, a jersey should have 8 to 10cm room in the chest. Please note: our “A” dimension is indicating the width. 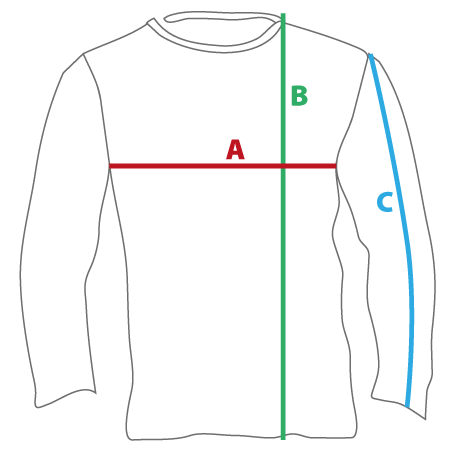 To get the dimension that a jersey measures around the chest, multiply “A” by 2. 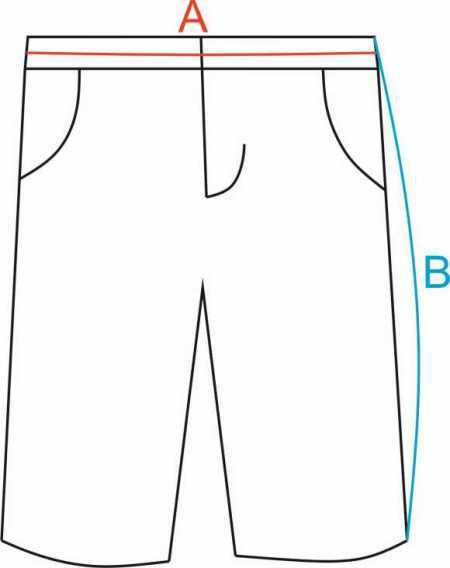 We recommend measuring your current shorts as shown on the diagram below. However these values in charts can be off by a few milimeters here and there. Don’t panic – it’s normal – it’s all handmade and the shorts are stretchable.